If you’re a small online business or start-up, chances are you’ve already dipped your toe into social media. For example you’ve probably established a business presence across the social media platforms relevant to your target market. Social media has become an integral part of marketing and if you are looking to increase your reach across these networks, it may well be worth considering advertising your business on social media. What opportunities can social media advertising bring to small online businesses? Targeted Audience. Social platforms enable you to drill down in terms of targeting. Allowing you to be specific about who you are looking to target, not only through basic demographics, but by purchase behaviour and interests. Facebook even enables you to target ‘Lookalike Audiences’ – opening the door to a wider, but still closely related audience. Low cost of entry. Entry costs for social media advertising isn’t prohibitive to small businesses. You can set your budget on a daily or campaign basis – spending only what you can afford. Immediacy. Social media advertising is immediate and offering you great flexibility. You can create, launch and tweak campaigns quickly and easily. Brand awareness: Social media exposure amongst a wider, targeted audience will help increase your reach and build awareness of your brand. Easily track performance: Most social networks offer insightful analytics to enable you to easily track your advertising campaigns’ performance and ROI. Before you embark on advertising on your chosen social media platform or platforms, here are a few tips to help ensure success. Clear goals and objectives: Be very clear about what you want your advertisement to achieve? For example are you looking to drive traffic to your website, raise awareness of a new product, get more page likes, grow attendance at an event or is it a brand building exercise? Establishing clear goals will help your focus advertising making it easier to create the right content . When you create an ad within Facebook you are given a list of advertising objectives – so match up your goal with the objective you select. Target your audience. Be very clear about who it is you are trying to target. For example, are you going to break it down by demographics, interests or purchasing behaviour. Different audiences will respond differently to particular content. An advertisement that may appeal to one segment may not be so successful with another. If you can focus on a specific audience you can adapt your ad to reflect the triggers of that particular group. Set your budget. Have a clear idea about your budget before you start. Otherwise you run the risk of getting carried away and spending more than you can afford. Set a daily maximum spend or a maximum campaign limit. You can always adjust your budget at a later date once you’ve tested the water. Use interesting visuals: Social media is becoming an increasingly visual medium. Use high-quality, creative images to make your advertisement stand out from the crowd. There are a number of excellent image libraries available online where you can source interesting and engaging images such as Shutterstock, istockphoto, freedigitalphotos and dreamstime. If you’re on a tight budget then check out Pixabay, they have a great library of images that are free to use even for commercial purposes. Facebook also allow you to select from hundreds of Shutterstock images at no cost when creating an ad. Be mobile friendly: Increasingly, people are more likely to access social networks via mobile. Keep this in mind when you are creating your ads; as chances are it will be viewed on a small screen. Landing page: Don’t undo a great ad by sending your audiences to a general page on your website. Create campaign specific landing pages that reflect the content and reinforce the message of your advertisement. Campaign specific landing pages will provide a better conversion rate. Track response: Keep on top of how you ads are performing – what ROI are they providing? Most social media networks enable you to closely monitor and measure the performance of your campaigns. Analysing your campaign analytics will help you identify what is working well, or not so well, so you can amend your campaigns accordingly. Advertising options for social media platforms. Exploring the advertising options offered on the social media platforms that you are already using as business, can help amplify your social media presence through creating specific, highly targeted adverts at a manageable cost. So if you haven’t already tried social media advertising then it’s worth testing the water with your business. We’d love to hear your thoughts and experiences on social media advertising, so please do leave a comment. 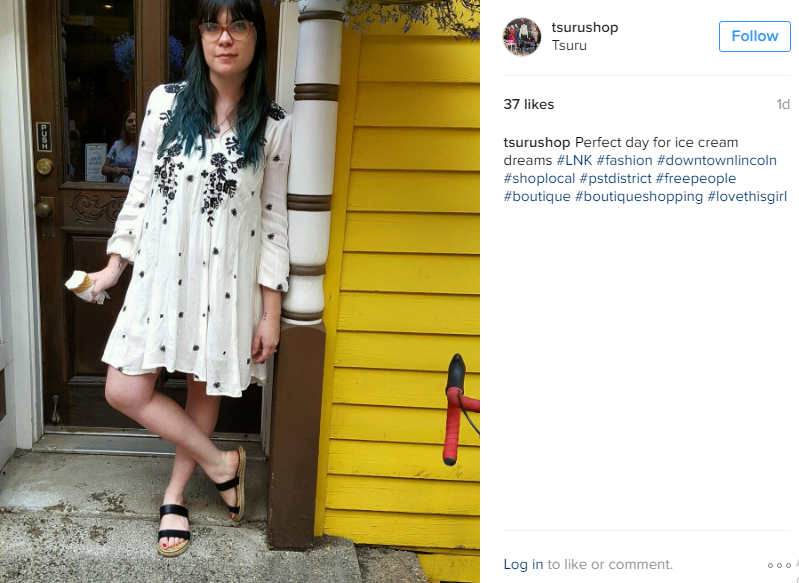 How can Instagram benefit your ecommerce business? Launched in 2010 and bought by Facebook in 2012, Instagram is a free photo sharing app. Like Pinterest, Instagram is primarily a visual platform. If you consider that images are the most popular type of content for social networks, it follows that you should at the very least investigate the benefits Instagram could bring to your small online business. 1. Get off to a good start. 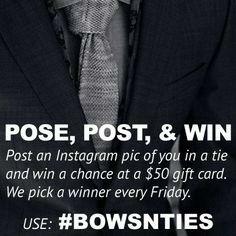 Take a look at Instagram for business. It has plenty of resources such as a business blog, inspirational case studies and helpful tips. Download and install the Instagram app (IOS App store), Android (Google Play Store) or Windows Phone (Windows Phone Store). To sign up you can either use your Facebook account or tap sign up and enter your email address. You’ll need to create a username when you sign up. Bear in mind that this is what everyone will see so, if you can, try to include your businesses name. If it’s already taken you might have to get a bit more creative to incorporate it. Complete your profile by tapping Edit Your Profile. You only have 150 characters to play with so spend some time crafting your biography – remember anyone can see your Bio. You want it to be interesting and engaging. Don’t forget to include your URL and a profile picture. Your logo is probably the best image to choose. From settings, link your account to your other active business social networks so you can share photos and videos across all your platforms. Start following, sharing, liking and commenting on other people’s posts. 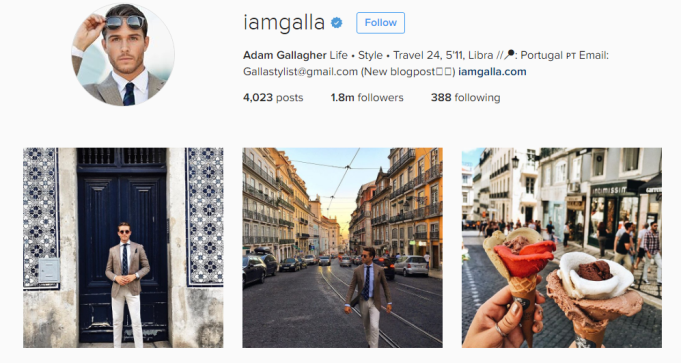 Don’t forget to add your Instagram profile link to your website and email communications. Set objectives: Having in place some clear SMART (specific, measurable, achievable, realistic, timely) objectives will help ensure you have focus and direction. What are you competitors doing? 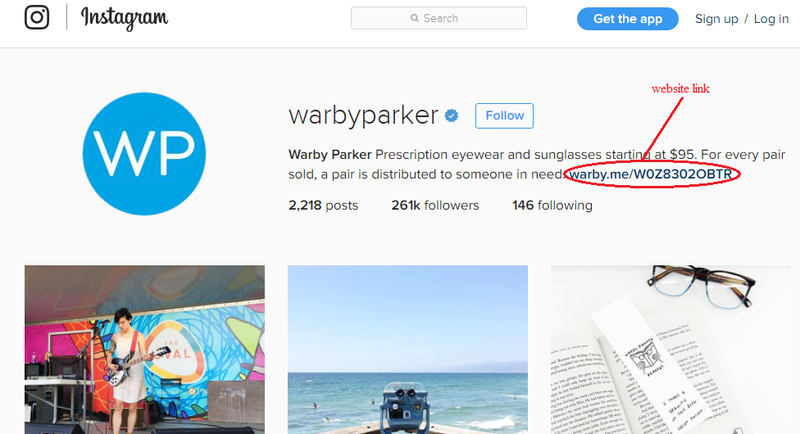 Check out what your competitors are doing on Instagram. Who are their followers and who are they following. What are they doing well that you can learn from and what are they doing that’s not so great that you could do better? Think about Brand: What kind of image do you want to convey to reflect your brand? The photos and images you post should support your brand personality. Instagram for business has some great examples of some creative brands that are well worth checking out for some inspiration. How often? As part of your planning, think about putting together a schedule. You may have some fantastic ideas, but you need to be practical and think about how much time you realistically have available. Do you have any resources or will posting all be down to you? Like most social media posting regularly is advisable but equally quality will outweigh quantity. You don’t need a state of the art, all singing, all dancing camera. Most of us have a pretty decent camera on our phones. With your smartphone you also have the added benefit of having a camera to hand at opportune moments. Saying that, do still take a sensible approach to taking pictures – you still want them to look professional. Checkout this link for some tips on taking better pictures with your smartphone. Instagram over 20 filters for you to play with to create the feel you want for your different photos. So let your creativity shine – even if you have rather uninspiring products there is no reason not to get creative. Take pictures of your colleagues, your office, your teams favourite lunch place, awards, celebrations and so on. It’s about projecting a lifestyle that reflects your brand and the personality behind it. It can be a good idea to involve other members of your team and get then snapping and posting.Just make sure you have clear brand guidelines on what is and isn’t appropriate to post. Try to strike a balance between promoting your business and posting interesting and entertaining shots that engage your audience. As we mentioned earlier you can create fun and interesting images of your office, run competitions, post views from your desk, take pictures of colleagues, highlight your production process, charity events you support and attend, team birthdays, favourite products – anything that is relevant, interesting to your audience and supports your brand. Tip: Scroll through the images Stella & Dot post on Instagram – there is a great mix of product shots (all nicely framed in real-life settings), inspirational text only images, team pictures and videos – all with a feel reflective of the Stella & Dot brand. Add text to images: Try livening up images with some captions or text. There are plenty of image editing tools available such as Canva or PicMonkey that allow you to easily add text to images and photos. Video: Online video’s popularity continues to soar and now accounts for more than 50% of all mobile traffic. You can post videos of between 3-15 seconds on Instagram. Adding video is an excellent, and engaging way to mix up your Instagram content. Follow, share, like….Just like any other social media network engaging with your audience is key to a successful presence. Focus on building your community through actively following, sharing, liking and commenting on posts. If someone comments on your post then try to reply to their comment. It is a great way of engaging with your audience. #Hashtags: To make it easier for people to discover your business make good use of hashtags. It will help put your content in the path of people searching for those particular keywords or phrases. Use hashtags that are relevant to the content you are posting. Try not to go overboard. Instagram allows you up to 30 hashtags, however if you look at the most successful brands you’ll notice they are usually using between 3 and 5. 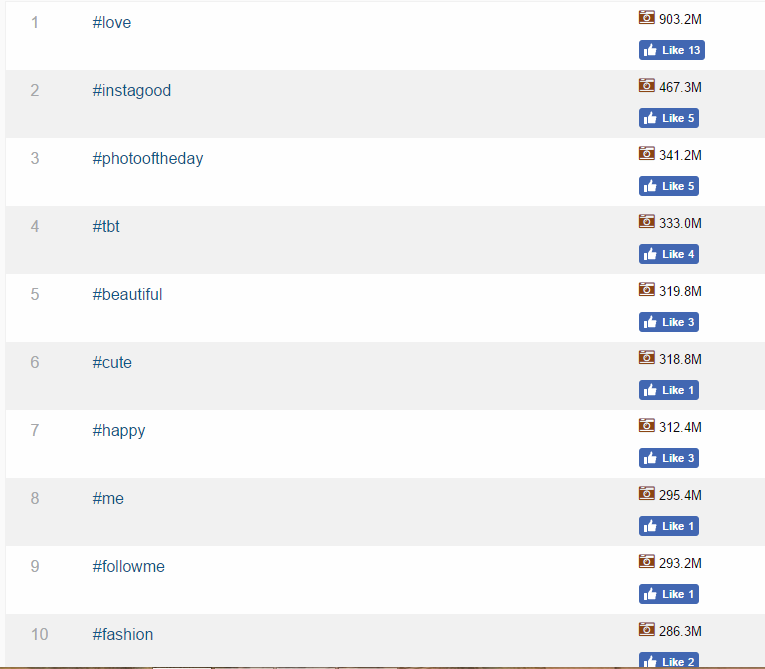 To add a # to your photos and videos, just type in your hashtags in the Caption field. For example #silver #bracelet. It is the very visual nature of Instagram that makes it such a useful addition to your social media toolkit. If you haven’t yet set up an Instagram account for your business, then at the very least it’s worth taking a moment to check out all its potential benefits. We’d love to hear your thoughts and experiences of Instagram so please do leave a comment. Christmas is knocking at the door. We are already a few weeks into the key Christmas sales period but if you aren’t fully up and running with your Christmas promotions quite yet, then don’t worry there is still time to give those seasonal sales a bit of an extra push. This week ShopIntegrator takes a look at how your small ecommerce business can maximise sales with some easy to implement tips. If predictions are correct 2015 is looking like another booming year for ecommerce in the UK. Researchers forecast 12% market growth and £116bn will be spent online. With many retailers creating over half of their yearly sales and profits in the three months prior to Christmas, making the most of your online presence is paramount. Indeed, according to the Centre for Retail Research last year in the UK online retail accounted for almost one-quarter (23.4%) of Christmas spending with online sales rising from £14.93 bn (2013) to £17.37 billion in 2014 – a very healthy growth of 19.5%. The great news is that according to National Federation of Retailers 20% of us don’t intend to start their Christmas shopping until December and actually the busy day online isn’t Cyber Monday but the Monday or Tuesday a week or two before Christmas. So implementing a few tips now could still help boost your profits over the Christmas period. First stop is your website. When potential customers arrive at your site you want to keep them in a Christmas frame of mind. Adding some appropriate seasonal graphics and images will help create the right environment to promote your Christmas products. Take a look at Tiffany’s home page. It creates the perfect environment for its brand at Christmas. Not only will this inspire customers, it can push them along the road to making a decision. For a successful example checkout notonthehighstreet.com’s christmas page. Social media is a great way to communicate with your customers during the Christmas season. As a marketing tool it is low-cost and a very quick way to get your message across. Use social media to inspire with creative gift ideas, highlight any special offers and promotions and communicate helpful information such as reminders about key christmas delivery dates. And don’t forget social media is the perfect channel to spread some Christmas cheer amongst your customers. It’s a chance to be a bit lighthearted and tap into all the seasonal excitement. Try running a festive contest, create christmas mood boards, share seasonal quotes and offer handy Christmas related tips and advice. To build engagement further open up discussions with fun questions like ‘What was inside your Santa’s stocking when you were a child?”. Pinterest is all about the visual so a strong presence works particularly well this time of year. Create special Christmas boards and pins to showcase your wares. Here are a couple of Pinterest examples from notonthehighstreet.com and Stella and Dot. Think about opening a Facebook store in time for Christmas. With over 1.55 billion monthly active users it’s an excellent way to introduce an additional sales channel for your seasonal products. The great thing about a Facebook store is that you can strike whilst the iron is hot. Rather than having to whisk engaged customers off to your website to make a purchase you can sell to them directly off your Facebook page. It doesn’t take long to set up a Facebook page either. 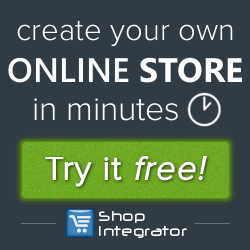 Checkout ShopIntegrator’s guide to opening a Facebook shop. Get busy with your email marketing this christmas. Email is an essential part of a small business owners marketing toolkit. Flexible and cost-effective it one of the most effective ways communicate with your customers this season. Gift ideas. You’ve probably already categorised your gifts on your website so now is the time to use email to inspire customers with your gift ideas. Here is a great example of an email I received from online clothing retailer Boden that does just that. Countdown: Creating a sense of urgency in your emails as Christmas approaches is a great way to encourage conversion. Try sending out emails that count down the shopping days until Christmas. Here is a fun and creative example from gift retailer notonthehighstreet.com. Last minute shoppers. There will always be a healthy proportion of shoppers who will leave everything to the last-minute. Offering guaranteed delivery a few days before christmas is very attractive to just such customers. Just be absolutely sure you can keep that delivery promise! Sending an email to customers reminding them of your last posting dates to guarantee a Christmas delivery is a good way to encourage those who are thinking of making a purchase to get on and do it. Seasons greetings to your customers. After all the sales promotion emails it is a nice idea to send out a little christmas spirit to show your customers you appreciate them. Sending out an e-card to customers and suppliers adds a personal touch and reminds then that they are important to you. At such a key time of year online businesses are all competing to win customers. A great short-term sales tactic way to boost your seasonal sales conversions is through offering special holiday promotions such as online vouchers, discount codes and e-coupons. We all love to feel we’ve got a bargain especially during Christmas when it feels like money is literally flying out of our wallets. Special offers such as online discount vouchers can help encourage us to take our shopping cart to the checkout – especially if there is a deadline looming for the discount. Just remember if you are offering discounts to make sure you have done your sums first and have read the guidelines laid out by the British Code of Sales Promotions and Direct Marketing. Hopefully we’ve given you a few easy to implement ideas to help give your ecommerce sales a bit of a boost during what we hope will be a busy and profitable season for online businesses. We’d love to hear your thoughts and experiences on maximising sales at Christmas. So please do leave a comment. Most of us probably think of LinkedIn as the go-to social network for B2B businesses, professional networking and recruitment. Certainly at first glance it’s not the obvious platform for small businesses and B2C focused companies. However, with steady year-on-year growth and 380,000,000+ registered users LinkedIn can offer your business some real benefits. More and more businesses are using social media as an integral part of their marketing strategy. So too are consumers with 52% using two or more social networking sites. LinkedIn is a key social networking platform and so we take a look at how small businesses can profit from a LinkedIn presence. How can small businesses benefit from LinkedIn ? LinkedIn offers you the opportunity to strengthen your brand, extend your reach, support your content marketing efforts and better understand your market. You may already have your own personal profile (as we mentioned earlier one in three professionals does!) but LinkedIn also encourages smaller businesses to build a company presence. They offer helpful tips and advice about how to set up your company page and make the most of your businesses profile. Check out LinkedIn Small Business . 83% of LinkedIn users are not on Pinterest. LinkedIn provides an additional channel for you to raise awareness, reinforce your brand and increase your business’ visibility. To do this, creating a strong Company Page is essential. When you out together your Company Page think about how to best optimise your presence. Use high-quality images for your logo and banner and think carefully about the keywords you choose for your description. You can also create separate Showcase Pages that link off your main page. You can have a number of different standalone showcase pages (up to 10 initially) that allow you to highlight particular products or services. To create a Showcase Page click on the ‘Edit’ drop down to the right of your company page and click on ‘Create a Showcase Page’. You and your employees should also have up-to-date Personal Profiles pages connected to your company page. It will help further promote your business and your brand personality. Research shows that 60% of LinkedIn users are interested in industry updates, therefore when you are sharing updates do bear in mind that what you might post on Facebook may not work as well on LinkedIn. Choose content relevant to the LinkedIn environment. Don’t forget to try to include eye-catching images with your updates. High-quality visual content will help increase engagement. LinkedIn Pulse is another way to raise your profile and help establish you as an expert in a particular industry or field. Pulse is LinkedIn’s publishing platform. Although you can’t currently publish articles off you Company Page you can publish them from your (or your employees) Personal Profiles page. If you are interested in posting a blog article checkout this helpful video on ‘How to publish blog posts and articles on LinkedIn Pulse’. Networking is central to success with LinkedIn. It will help you connect with potential customers, industry influencers, third-party suppliers and potential employees. 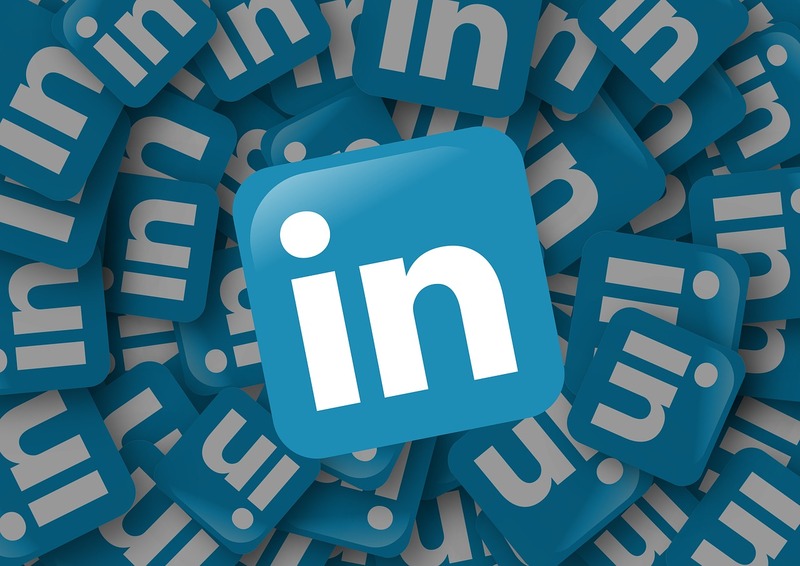 Keep active on LinkedIn through regularly sharing interesting content, following relevant companies and professionals, always responding to comments, reviews and queries and joining LinkedIn Groups. Networking can help build leads for your business. Indeed, research from HubSpot found that traffic from LinkedIn generated their best visitor-to-lead conversion rates – three times higher than Twitter or Facebook. There are over 1.5 million LinkedIn Groups so chances are you’ll be able to find one relevant to your business sector and of course if you want you can even set up your own group. LinkedIn is an excellent way to gather market intelligence. Joining groups can help you collect useful insights into your target audience and stay abreast of industry trends. LinkedIn is also a great way to keep on top of competitor activity. Check out their company pages. What are they posting? Who are they following? How can you differentiate yourself? Learn from other business outside your industry as well. Take a look at out the top sites with LinkedIn Best Company Pages 2014 and check out this link from the Content Marketing Institute for some great examples of how B2C brands are doing it. Hopefully this article has shown that LinkedIn isn’t just for recruitment and B2B companies. Small businesses, including B2C, can also benefit from a presence. We’d love to hear your thoughts and experiences using LinkedIn for your business, so please do leave a comment.